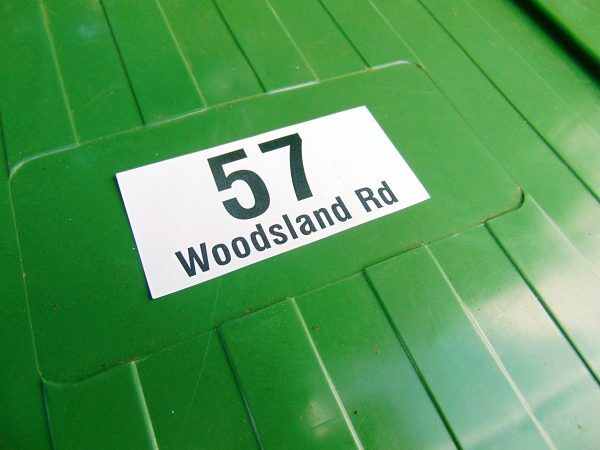 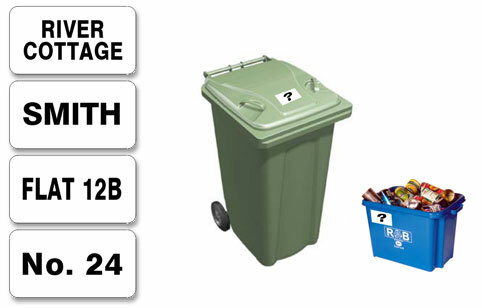 Our highly durable, weather-proof wheelie bin labels printed with your chosen house name or number. 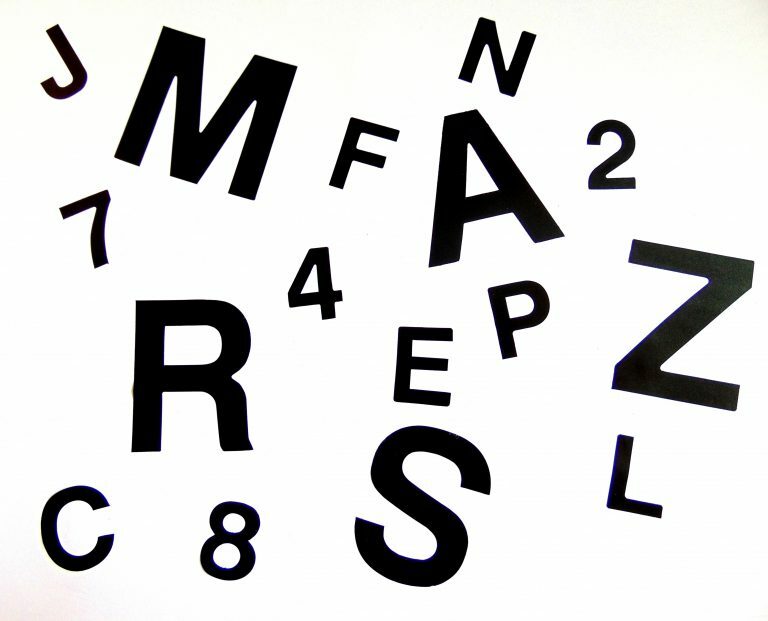 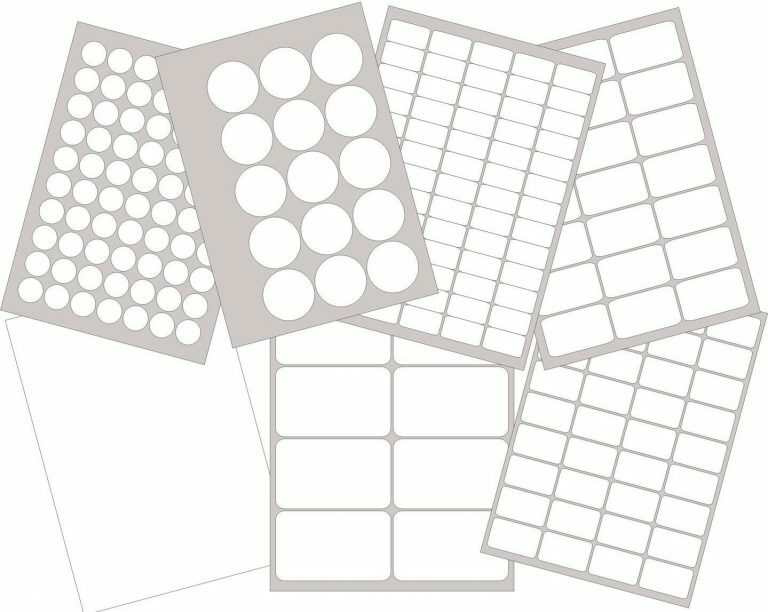 Each label measures 120x60mm (4.8” x 2.4”) and we supply in packs of 6 labels. 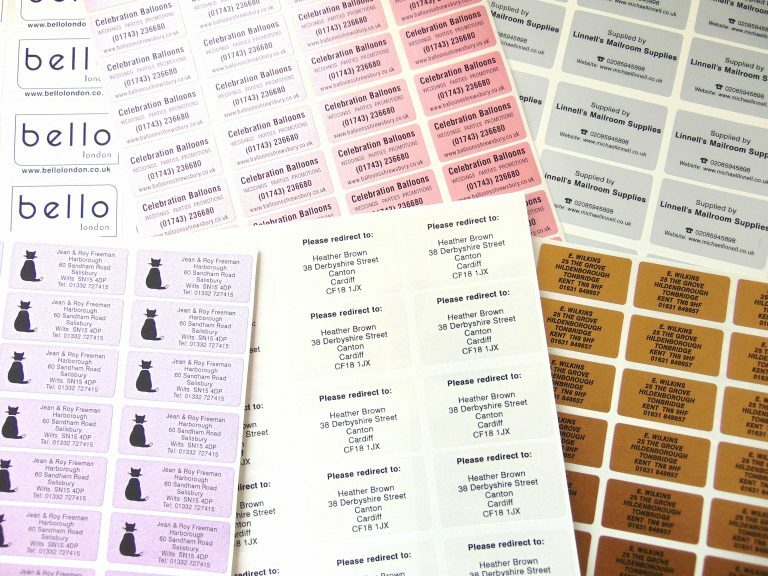 Each label is printed with the same text. 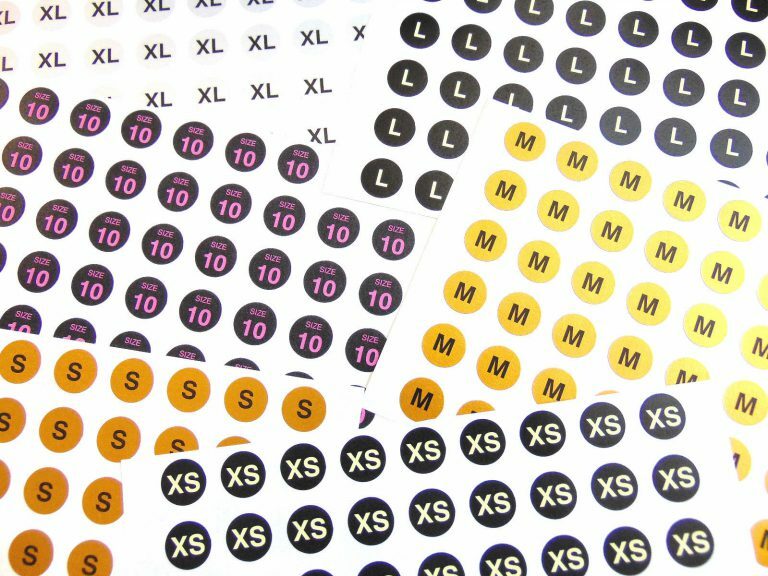 Price per pack of 6 labels – £6.95. Printed wheelie bin labels are available with a 2-3 working day dispatch turnaround, please choose your preferred delivery option at the checkout stage.